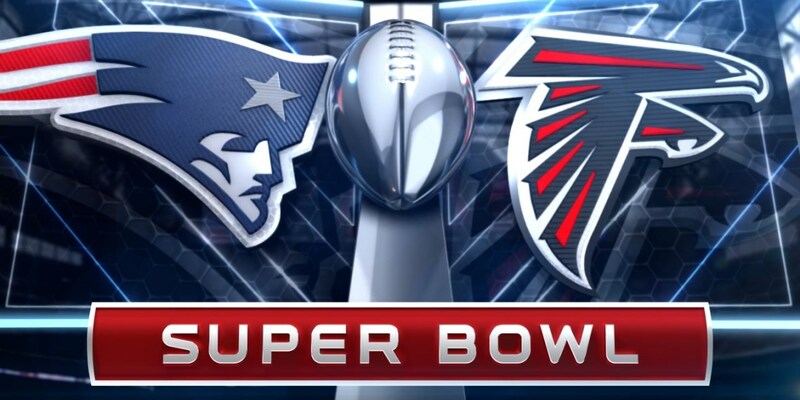 A team searching for its first Super Bowl and a team looking to get its 5th Super Bowl ring squared off on Sunday. Do you remember hearing about the miracle on ice as a little kid or watching as history unfolded? Well this Sunday was the miracle at Houston. The New England Patriots faced off against the Atlanta Falcons. Two very good gun slingers that have had a successful year one trying to become the first QB that has won the MVP to win a Super Bowl. And a quarterback that has already booked his ticket to Cooper’s town. But a lot of people looked at this game as a very high scoring game. But it started off as a defensive battle as the Patriots and Falcons traded punt after punt after punts. Until New England Patriots running-back L. Blount fumbled. The fumbled sparked the Atlanta Falcons who drove down the field to score a touchdown. The Patriots could not respond and the Falcons took advantage of the Patriots slow start by taking a commanding 21-3 lead at half time. Tyler did not take the half time lead as a win, “They put up a stat saying teams 0-156 after being down ten or more in the playoffs, I felt like it was going to jinx it. I thought we were going to win. I got about 5 texts congratulating me from Patriots fans but I told all of them I’d take the win if it was anybody but Tom Brady because I know it’s not over. But the second half was a much different game. The game looked all but over when the falcons scored another touchdown to bring their lead to 28-3 but the Patriots came alive and scored a touchdown to cut the lead to 19 since Gostkowski missed the extra point. The Patriots offense and defense started to come alive as the Patriots defense held the Falcons in check. The Patriots would end up cutting the lead down to 16 with a 33 yard field goal by Gostkowski. On the next drive the Patriots defense once again held the Falcons in check but caused a fumble. 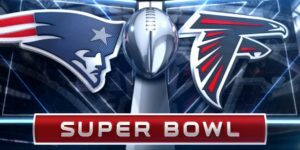 The Patriots would score a touchdown on the drive and get the two point conversion to cu the falcons lead in half with 5:56 left in the game. At this point fan. The Patriots would do the unthinkable and score the game tying touchdown and convert on the two point try to tie the game. The game ended up going into overtime which was the first ever Super Bowl to ever go into overtime. The Patriots would end up winning Super Bowl 51 with a 2 yard run by James White in overtime. This is what Tyler Philbrook had to say about the tragic loss, “Still recovering from the super bowl loss, so immediately after it happened, after the final touchdown, I was just sitting there in my aunt’s living room and I just leaned over and put my head down and sat there for a minute. Trying to understand what is going on because I couldn’t believe it.” This game though broke so many records 24 to be exact.